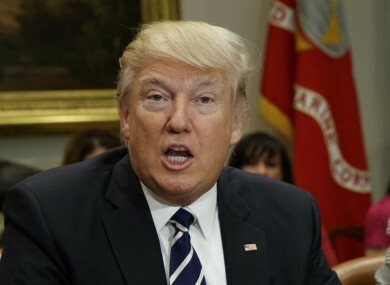 US PRESIDENT DONALD Trump knew for weeks that his national security advisor had misled Vice President Mike Pence, before relieving him of his duties this week. Now, the US Senate’s top Republican said this evening that it was “highly likely” that ousted national security advisor Michael Flynn would have to testify at an intelligence panel, potentially heaping pressure on Trump. Flynn resigned barely three weeks into the new administration amid allegations he had discussed recently imposed US sanctions on Russia with Moscow’s ambassador to Washington before Trump took office, and then misled Vice President Mike Pence about the nature of the call. The Senate Intelligence Committee is already investigating Russia’s alleged interference in last year’s US election. “They have the broad jurisdiction to do it,” he added. The comments build on those by other Senate Republicans, including number two Republican John Cornyn, Senator John McCain and Senate Intelligence Committee member Roy Blunt, who support investigations into Russian interference. “I think it’s likely that general Flynn will be at some point asked to come, and talk to the (intelligence) committee about post-election activities,” Blunt told reporters. Putting Flynn in the hot seat and under oath has the potential of prying open sensitive information, including whether or not Trump had any role in the incident or why the president apparently kept his national security aide on board for weeks after discovering he misled Pence. Democrats demanded a transparent and impartial probe. “General Flynn’s resignation is not the end of the story, it is merely a beginning,” said top Senate Democrat Chuck Schumer. Email “'Just the beginning': Trump facing headache after security advisor quits over Russian links”. Feedback on “'Just the beginning': Trump facing headache after security advisor quits over Russian links”.